Your Garage Door – Our Professionals! When you hire our experts, you can rest assured you are getting nothing shorter than the best products and services. Scroll down to read about our latest projects. Customer Issue: Mr. Lemarr’s garage door began slowing down, moving jerkily, and making alarming grinding and squealing sounds when raised above a certain level. Our Solution: The customer’s opener had a self-diagnostic feature, which made it easier to determine that the opener wasn’t the problem. Further inspection revealed a broken hinge that had deformed one of the upper panels, causing the door to shake constantly; both the hinge and panel were replaced, and the problem solved. Customer Issue: Malfunctioning Chamberlain door opener. Our Solution: The electromagnetic pulses fried the receiver logic board and it needed to be replaced. 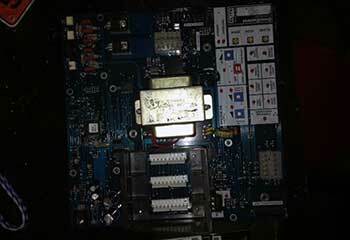 After we put in a new 041AB050-2M circuit board, we had to reprogram the remotes as well. We tested the safety mechanism and made sure the other components were functioning properly. 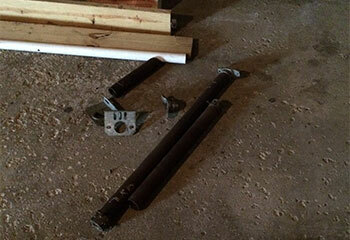 Customer issue: Garage door fitting. 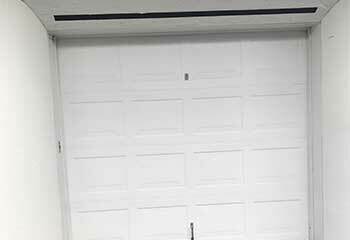 Our Solution: We have successfully installed a vertical-paneled Amarr garage door for a customer who has had damage occur to the previous unit. We have also equipped doors with an electrically operated Chamberlain system as per client’s request. Our Solution: After arriving, we discovered the existing spring was broken in two places. 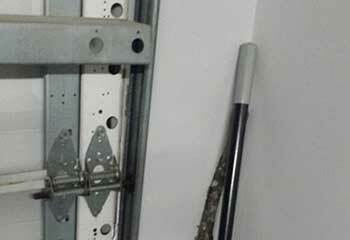 We upgraded the mechanism to a dual spring system and have also installed braces to reinforce the door. Customer issue: Dented door panel. 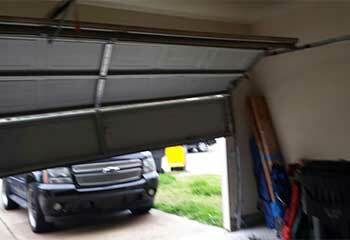 Our Solution: The customer had accidentally bumped his car against the garage door and damaged the horizontal panel. We were there to promptly remove the damaged unit and replace it with a matching model.